There is an emerging group of consumers called “preppers” – people who are concerned about disasters and the aftermath. Preppers are part of a growing subculture in the U.S. that spends its time and money preparing for apocalyptic scenarios such as nuclear war, terrorism, famine, economic collapse, and widespread disease. They are prepared for any eventual disaster with stockpiles of food, water, medicine, and power. While this segment has been a little on the underground side in the past, in recent years the segment has been courted by Web sites, news articles, trade shows, TV shows, and companies selling survival kits and supplies. One necessary, and expensive product for preppers is housing. 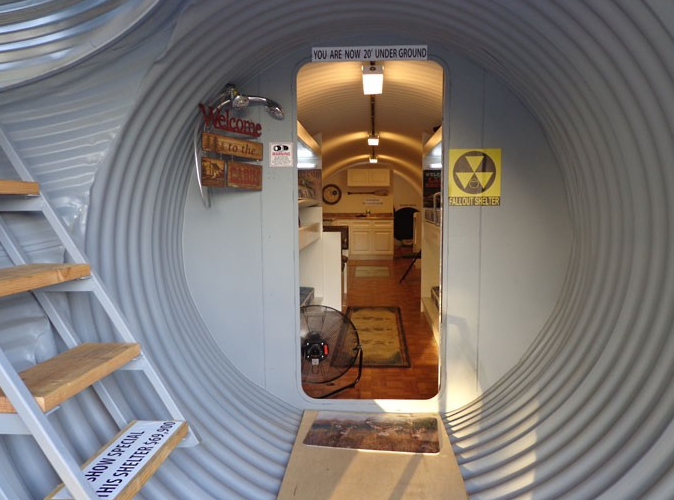 During the Olympic coverage this winter, one company (Omni Underground Bunkers) even placed a commercial for its underground shelters; housing designed to protect the buyer from an end-of-the-world catastrophic event. It looks like an infomercial, but instead of pitching weight loss or hair products, it focuses on what happens when the apocalypse arrives. It will be interesting to see if this market segment grows, as well as what new products are developed to meet the needs of preppers. 1. Discuss the importance of clearly defining a target market. 3. For this product, what are the characteristics of the target market? 4. Divide students into teams and have each team develop a profile of a target market for the underground bunkers. Include demographics, psychographics, behaviors, values, attitudes, etc. 5. Based on the target market profile, have teams develop a list of 10 other products that could be sold to this market.